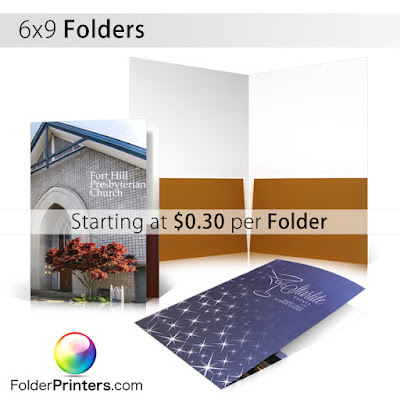 The 6x9 presentation folder is a great option when you need a smaller folder! This size is commonly used for sales presentations, church welcome packets, receipts, and any application that requires a smaller folder. This folder is printed in full color and can be customized to suit your needs. To visit folder printers website click here.